I decided this was the year to get projects done. One of my numerous ‘To Do’ lists. I started with what I knew would be a victory to keep me moving, The Chalk Wall. I installed it for a few reasons. Great place to do the week’s menu and to do list, did I mention I LOVE lists. It would replace the easel that was taking up precious real estate in my dining room. Win. Win. Win. 1. 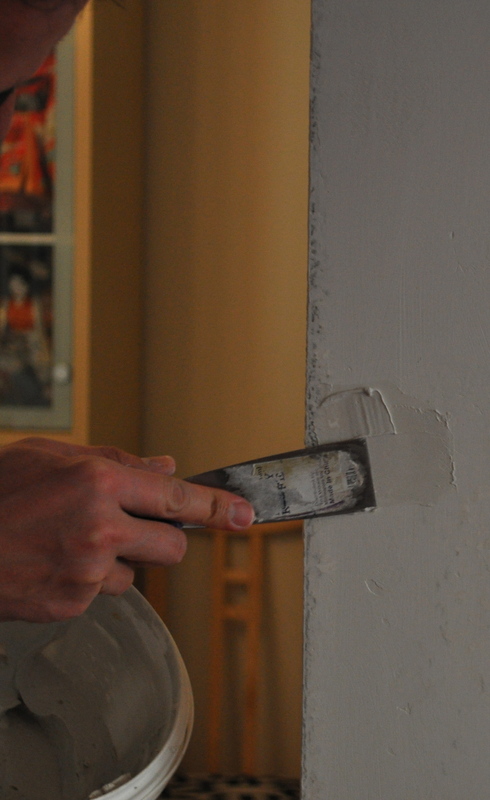 If you have textured walls you will need to lightly sand them down to get a more even surface. You are not looking to make the wall completely flat at this point. I used a small electric hand sander for this part of the project. Ensure that while sanding you wear a mask, safety first. 2. You can then use a All Purpose Joint Compound to even out the surface. 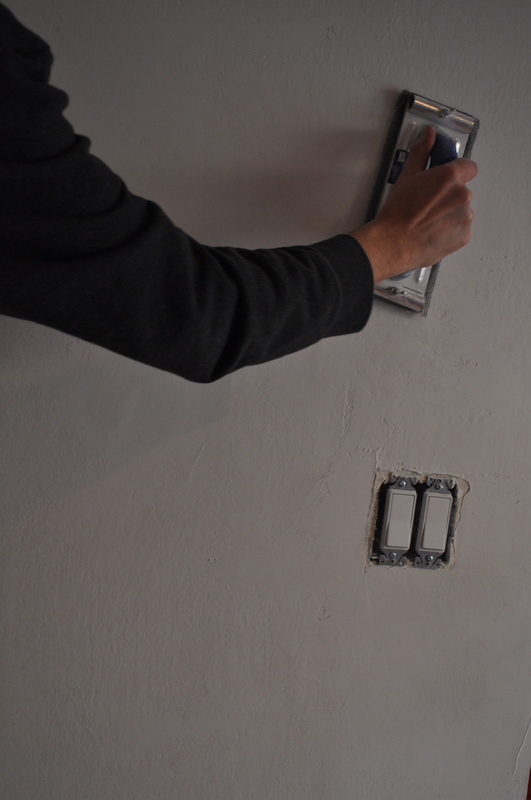 I used these large spackle knives to apply the compound to the wall. When applying the compound it does not need to be flat on the first application as you will be sanding it later in the process. Allow the compound to dry per the manufacturers instructions. 3. Once the first coating is dry, you can spend countless days trying to fill in the smaller uneven parts. Per my brother’s advice, “This is like frosting a cake, just call it at some point.”. Again wait for it to completely dry. 4. After you have completed leveling the wall you will sand it down. You will want the wall to be completely smooth at this point. I used a hand sander for this. Again, safety first so wear a mask. We used a low dust product but it still creates quite a mess. Best done without the assistance of your children and prior to your husband steam cleaning the floors. 5. I brushed the remaining dust off the wall and then taped off the wall for painting. 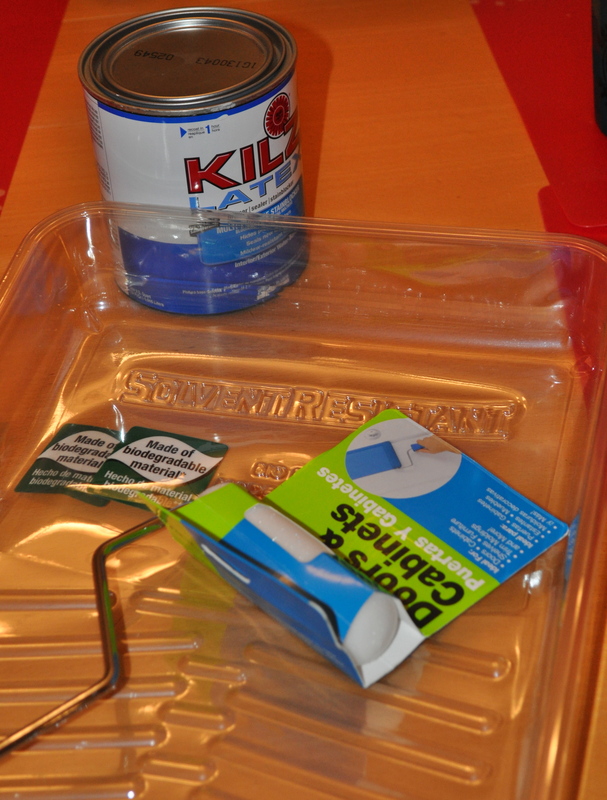 You will then apply a coat, or two, of a primer, I used a latex based paint. Allowing it to dry per the manufaturers recommendations. Try to keep the paint strokes as even as possible. 6. 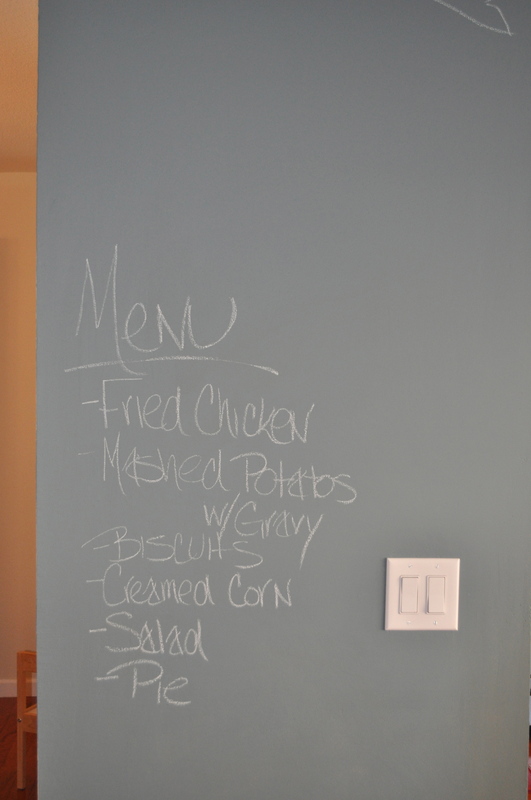 I then used Hudson chalkboard paint which comes in a variety of colors. I went with the standard elementary school chalk board color. It took three coats of paint. You will then need it to set for 5 days, or a lifetime to a three year old, prior to using the wall. 7. Enjoy. And the first victory of my project list is accomplished. * It is important to note to use just regular chalk not the sidewalk chalk on the wall. I use a wet towel to wipe it off after use. This entry was posted in Projects and tagged chalk wall, DIY, projects by 24useablehours. Bookmark the permalink. I had no idea this was so much work….Great job! I totally agree with Allison, I’ll just come over and write on yours! 🙂 You are so awesome!!! !